I get a monthly subscription of Parents Magazine. Inside is always an arsenal of health advice, funny stories and household tips. I’m a big fan of the magazine. I usually read it cover to cover and soak in all the information regardless of what age they’re aiming at. Most likely, its forgotten in a matter of days, but I’m holding out hope that they’ll come out with a super drug like the one in Limitless so I can be a for real SuperMom, not just a wannabe. For. Real. That movie was awesome. Oh, and it’s got Bradley Cooper as the main character. Cha-ching! Back to Parents Magazine. Spread out through the pages is always a handful of delicious and healthy meals and snacks you can make for your family. I always find at least two or three that I think look awesome and I want to make it for Buddy but, I’ll be honest, I’m just too lazy to give it a try. This month though I came across something that I immediately decided I had to make for Buddy. *Finely dice up some turkey breast and fry it in a Tbs of oil until it’s browned. 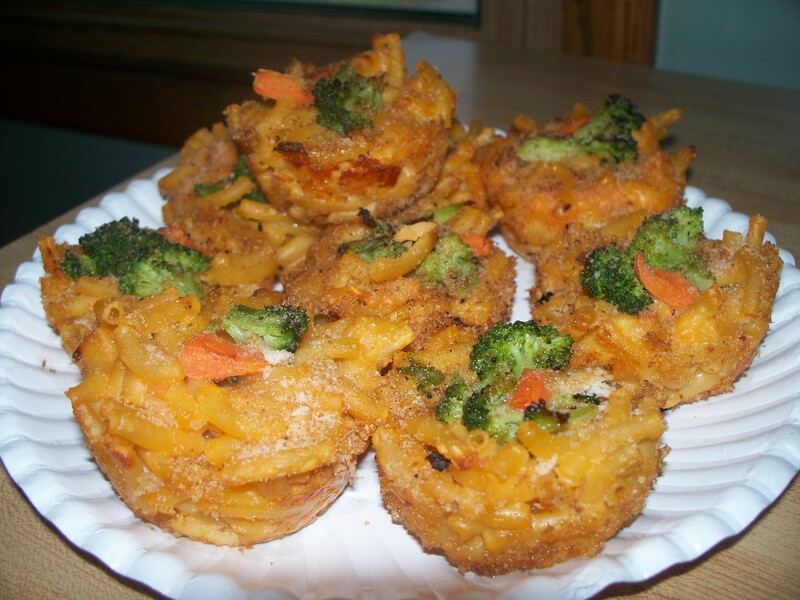 *Mix mac-n-cheese and turkey and scoop into muffin tins. Top with some healthy veggies (magazine did cherry tomato halves and broccoli, I did broccoli and carrots) Throw some more bread crumbs over the top of that and a little bit of oil over that. * Put it in the oven for 15-20 minutes. Let cool, then remove them from the pan and you’ve got yummy little muffins made of mac-n-cheese! It’s seriously delicious. I think I’ll be doing this WAY more often… the only thing I’ll change is I’ll add much less oil at the end. 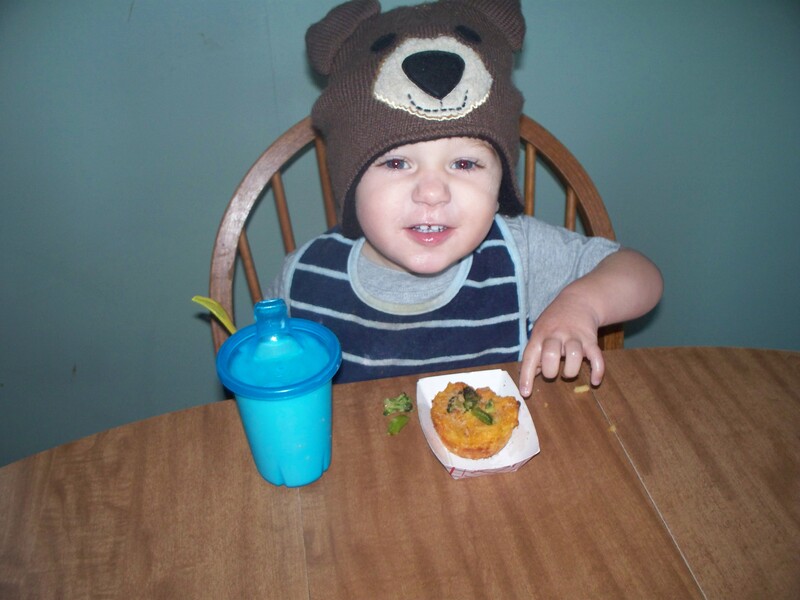 Buddy ended up eating two for lunch which is unheard of. « I have another challenge for you! I like your cooking style! I am trying it.